Germany’s foreign minister says EU will launch alternative channel to send money to Iran. The European Union is on the verge of launching an alternative channel to send money to Iran that would sidestep US sanctions against the Islamic republic, Germany’s foreign minister said Monday, according to The Associated Press. The “special purpose vehicle,” or SPV, is part of EU efforts to keep the 2015 Iran nuclear deal alive. 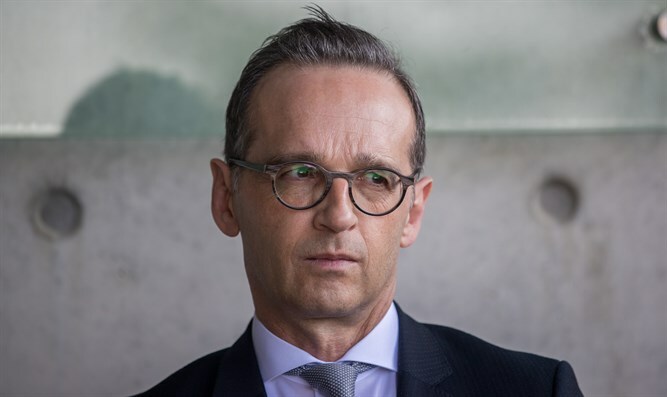 He said that Germany has been working notably with Britain and France but also other EU partners in recent months to set it up, without providing details. US President Donald Trump withdrew in May from the 2015 nuclear deal between Iran and world powers, which he has said is “the worst deal ever negotiated”. The US has since imposed two rounds of sanctions on Iran, the latest of which went into effect in November of 2018. The European signatories to the 2015 deal did not agree with Trump’s decision to leave the agreement and have been trying to save the accord, which they see as crucial to forestalling an Iranian nuclear weapon. The European Union has vowed to help Iran evade the economic sanctions imposed by the US, shielding companies doing business with the rogue state in an effort to preserve the Iran nuclear deal. The White House has been warning the Europeans that they could face stiff fines and penalties should they try to circumvent the sanctions, noted AP.